My mom gave me this recipe. She called it Cabbage Steak. 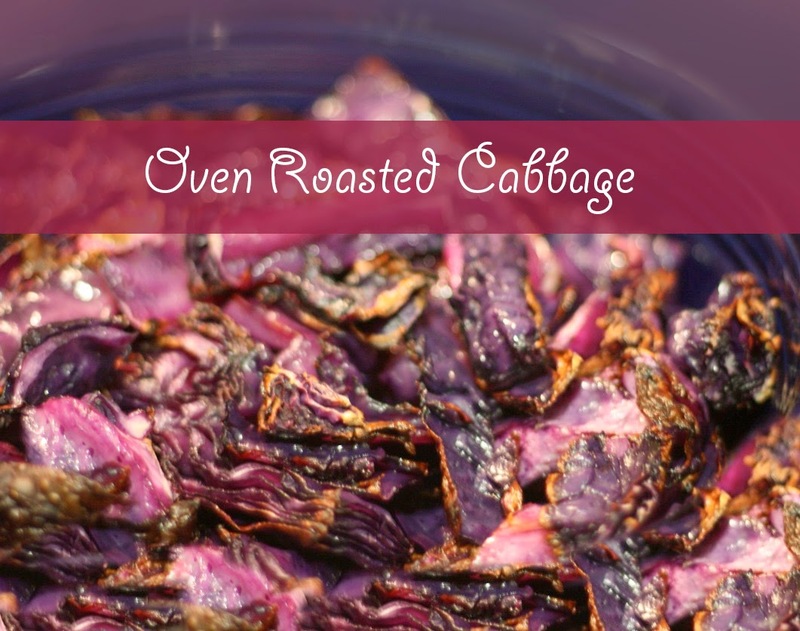 I'm calling it more what it is, Roasted Cabbage. It's so flavorful! 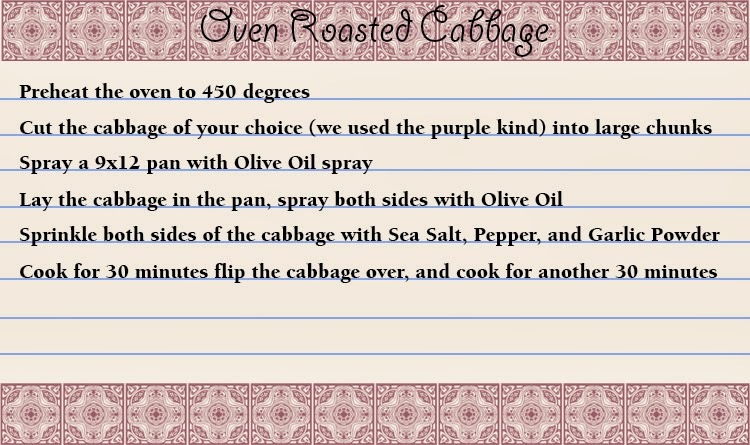 If you aren't a cabbage fan, try it anyhow. It takes on a new flavor when it's cooked like this. The edges are crispy, the center is juice, and everything tastes so flavorful! The best thing is that you could mix the recipe up a bit. Add, asparagus, do a mix of cabbage, and so on. I love cabbage! I haven't tried it roasted yet though. I will soon! We cook ours like this too and it is so good, so much better than boiling it.